With FREE delivery within UK. Show off your Taylor guitar in style. 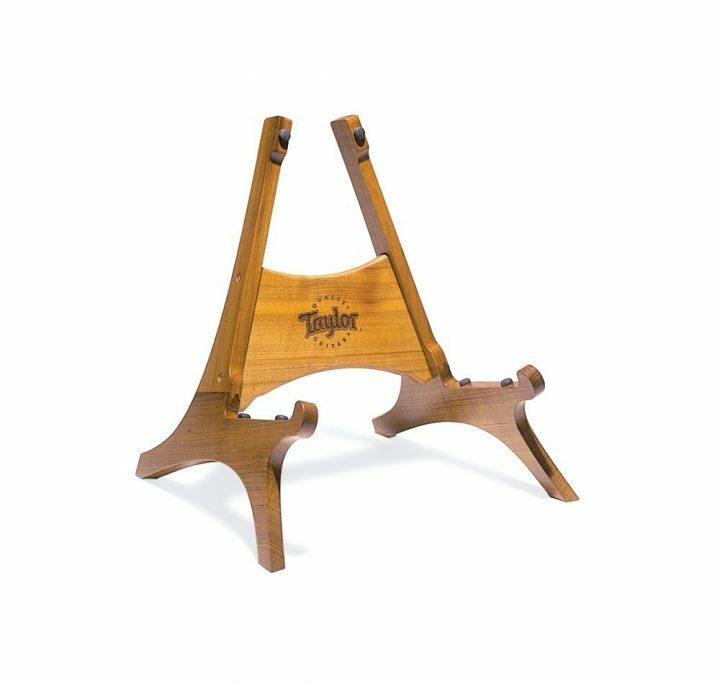 This beautifully crafted guitar stand is made out of rich Sapele and Mahogany with the Taylor logo etched in the middle. Comes in a Taylor box. A small amount of assembly is required – basically there’s 4 screws that you get with it that you need to screw it together. The Taylor Sapele Mahogany Guitar Stand was first produced for a trade show, but people began demanding these unique guitar stands and Taylor came through. Beautifully crafted in solid sapele mahogany, the stand features a laser-etched Taylor logo, rich satin finish, and rubber pads to protect your guitar’s finish.